The population of a Ross-shire village could potentially double in the coming years – with 310 new homes poised for construction on surrounding farmland. Councillors will decide on Tuesday whether to grant planning permission in principle for Makar Ltd’s proposed 160 homes, on the Novar Estate to the north-east of Evanton, with planners recommending approval. 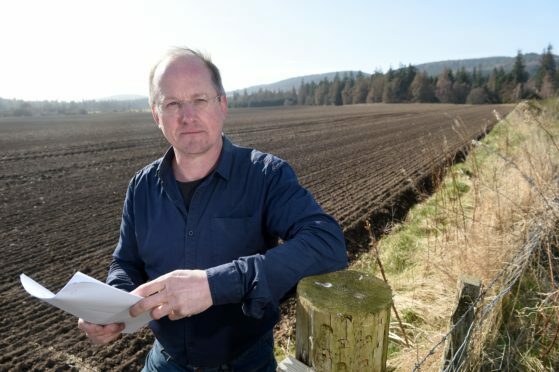 And it has emerged that the Highland Housing Alliance (HHA) wants to build 150 homes to the south-west of the village, on agricultural land between Thomas Maciver Street and Swordale Road. Evanton, which sits close to the Cromarty Firth, is currently home to just over 1,100 people – and the population could theoretically double if all the properties are built and filled with families. Local hotelier Ralph Mercer cautiously welcomed the plans but said “a lot more needs to be ironed out” in terms of conditions to be enforced, and what contributions the developers will be able to make to the community. He added: “The main thing is transport links – these will be exceptionally important. There is no train station in Evanton and I think this is something that has been brought up already. Fingers crossed something will happen there. Makar managing director Neil Sutherland said the 160-home development was first tabled in August 2009, but the effect of the global economic recession on the property market in the Highlands delayed construction. He said: “It’s still an exciting project and we hope to be on site at the end of the year. It is about time. The housing market is not as volatile as elsewhere in the UK and we feel it’s picking up. Mr Sutherland said there will also be opportunities for a new shop or small businesses as part of the development. He said that, if planning permission is granted, the first phase would involve building 30 houses, with a total of another six or seven phases. Depending on the popularity and uptake of the homes, Mr Sutherland believes the development could be finished anytime between five and eight years. HHA will be holding a drop-in session for their development at Diamond Jubilee Hall in Evanton from 12pm to 4pm on April 21, allowing the public to discuss proposals with the design team. A public exhibition will also be held at the Cornerstone Cafe in Evanton during normal opening hours, between April 23 and April 27.